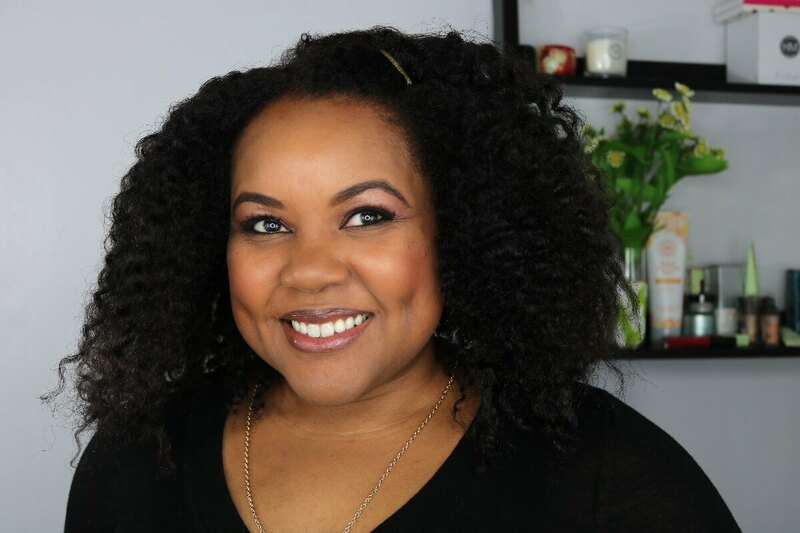 It’s easy to fall into a beauty, style or lifestyle rut even for bloggers who are constantly exposed to the new, the now and the next. 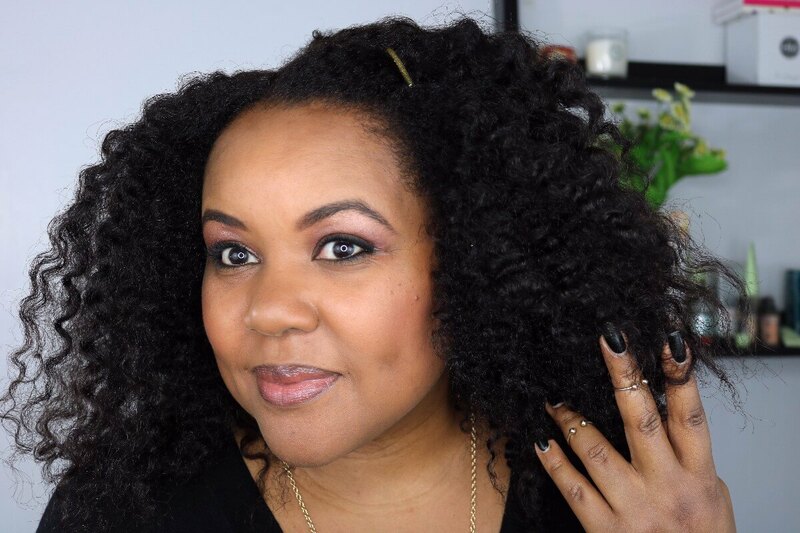 Though I hate to admit it, my beauty rut has been my hair. Its color specifically. Years ago, during what turned out to be a temporary move to the left coast, I lightened and highlighted my hair. I fell in love with the color and went lighter over the years. I’ve had highlights, low lights, balayages and hombrés. Now, I’ve inadvertently fallen into a bootleg sombré because I’ve been lightening my base less without adding new highlights and the fade is real. Beauty and style ruts are tricky things. They sneak up on you when you’re not paying attention, float just beneath your notice and become part of your dulled landscape. Insidious I tell ya! My hair color rut came about because I had been unwittingly holding onto my dream of California living. The lure of perpetually warm weather, lazy days at the beach and sun-kissed tresses is intoxicating. Even though I’m firmly ensconced in my East Coast life, I’ve been reluctant to leave behind my California dream and that reluctance has led to a non-committal hair color situation. Talk about living in the past! Well, no more! 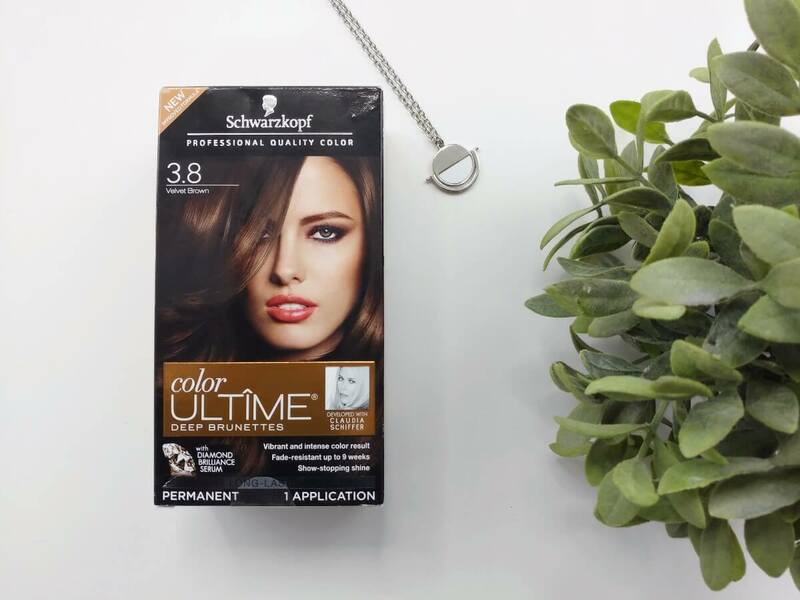 Fall is for fresh starts and I’ve chosen to let my hair be my guide with a fresh new color from Schwarzkopf Color Ultime. With a new color comes a bold commitment to living in the moment (if not for the moment) and leaving the past behind. My natural hair color is really dark, nearly black and the grays have been creeping in since I was about 25 (thanks Mom!) so I chose the Schwarzkopf Color Ultime in 3.8 Velvet Brown because I thought it would be deep enough to be close to my natural color while adding a little warmth. 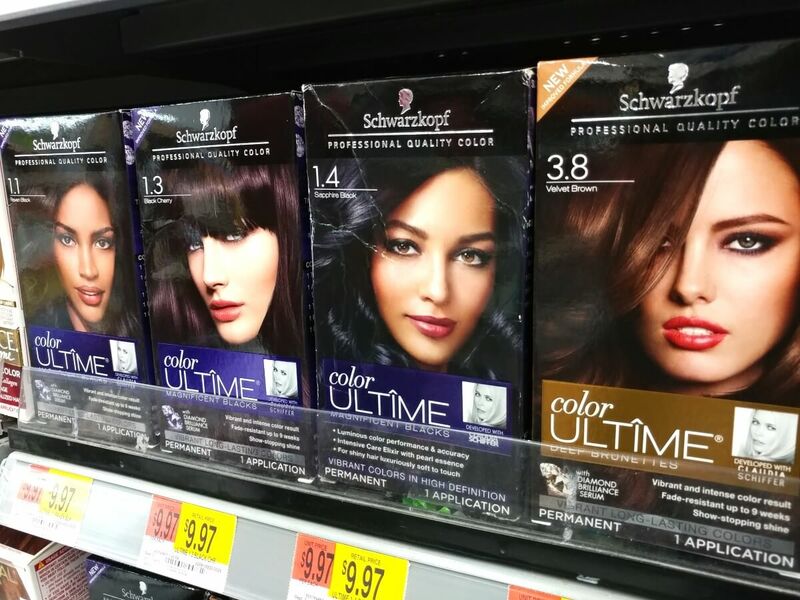 One of the reasons I love the Color Ultime line is that it offers so many rich, vibrant color options, especially for brunettes. I was seriously considering the Sapphire Black or the Black Cherry and even the Amethyst Black. So many options! Full disclosure, I haven’t colored my hair at home since the late 90s and I don’t mind telling you I was more than a little nervous about taking on the task. I have a lot of hair and I take my hair color outcomes very seriously, so this was a big deal for me. 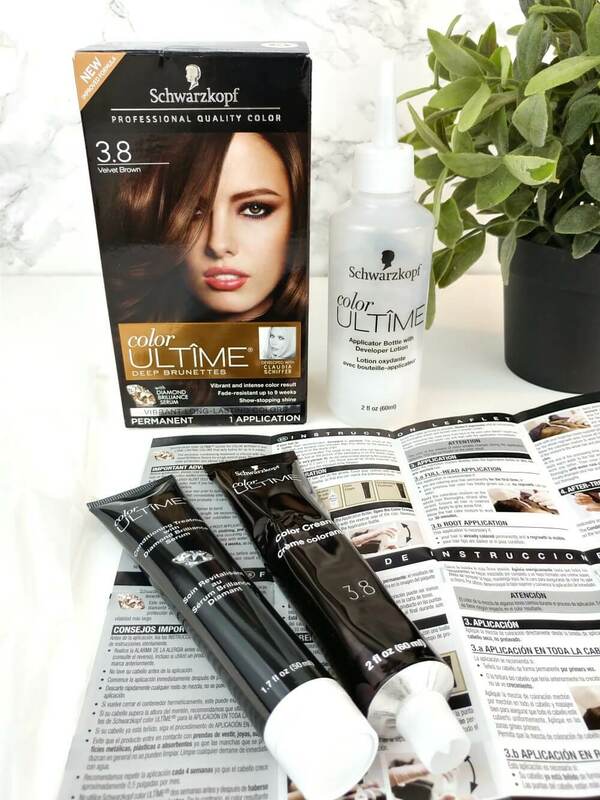 Fortunately, the Schwarzkopf system is super simple and comes with clear, detailed instructions for applying the color for a flawless finish. It couldn’t have been easier. Divided my hair into six sections. Put on the gloves included in the box to protect my hands from the formula. Thoroughly mixed the color cream with the developer lotion. Applied the color mixture as per the instructions for hair that had been previously colored. Let the color set for 25 minutes. Rinsed my hair until the water ran clear. Shampooed and conditioned with the (included) Conditioning Treatment. The results are stunning and will last up to 9 weeks! Step 3. 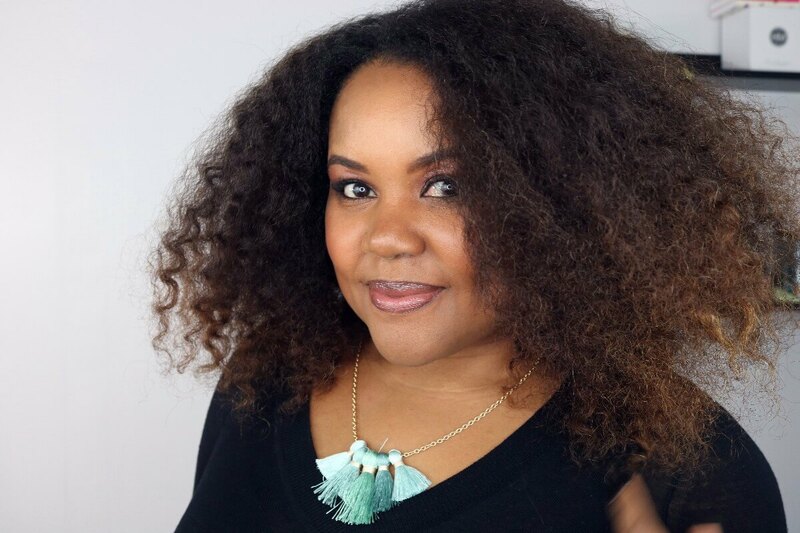 Shake It Out And Step Into A Fresh Hair Color Future! 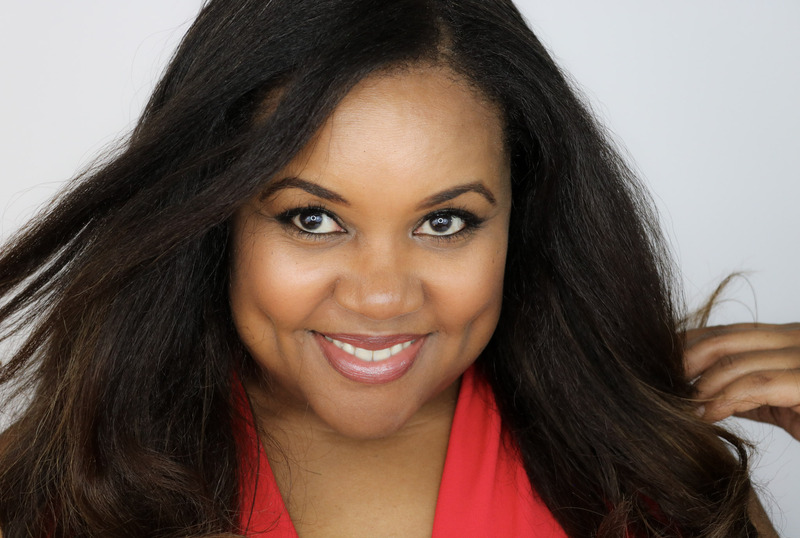 I love the color and I still can’t believe how easy it was to freshen my hair and my vision! So how about it lovely? Are you down to freshen your hair color this fall? 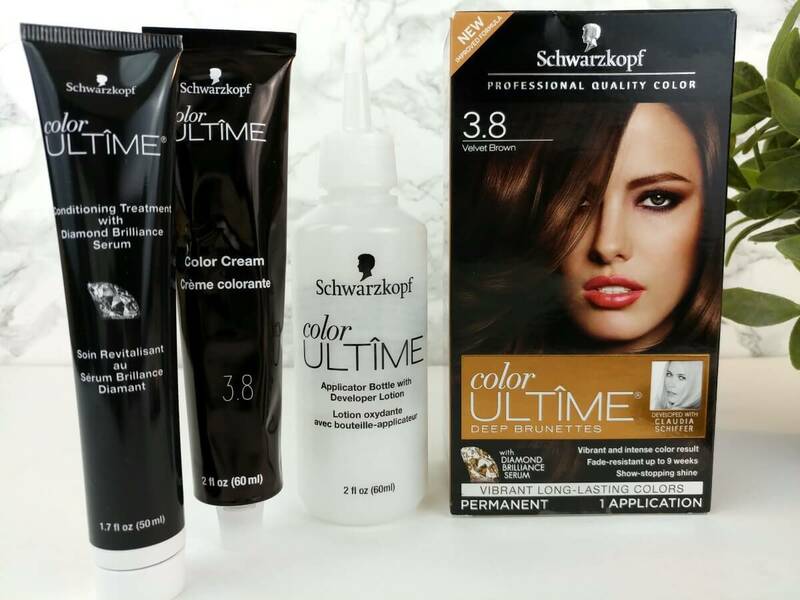 If so, choose your favorite fashion shade, grab this Schwarzkopf rebate offer and try this gorgeous color system for FREE! Plus, you can earn up to $5 on Ibotta when you purchase any shade. And if you need help choosing, check out the Schwarzkopf Social Hub for a bit of #FashionColorExpert inspiration. I know exactly what you mean Cassie. I’ve been going to a salon for years and this was a big risk for me. It was super simple though because I was only doing one shade. I wouldn’t do highlights or anything like that on my own though. That I leave to the pros for sure. I love your choice of new hair color, it looks fantastic! It is so easy to fall into a rut like you did, glad you changed it up a bit. It totally did a change to your hair and i think i’m gonna recommend this post to my family. By the way you look pretty! I dyed my hair for 28 years and finally decided this year to let it grow out. I love the mix of dark and silver, and I’m going to save oodles of time and $$. Your colour looks great on you! So how long were you on the lovely left coast. And what made you go back to where you were. Good luck with the new hair color and all new you. I was out for less than a year and I came back east because I had some show commitments to fulfill. The plan was to do the shows and turn right back around. Didn’t work out that way however. Boo!